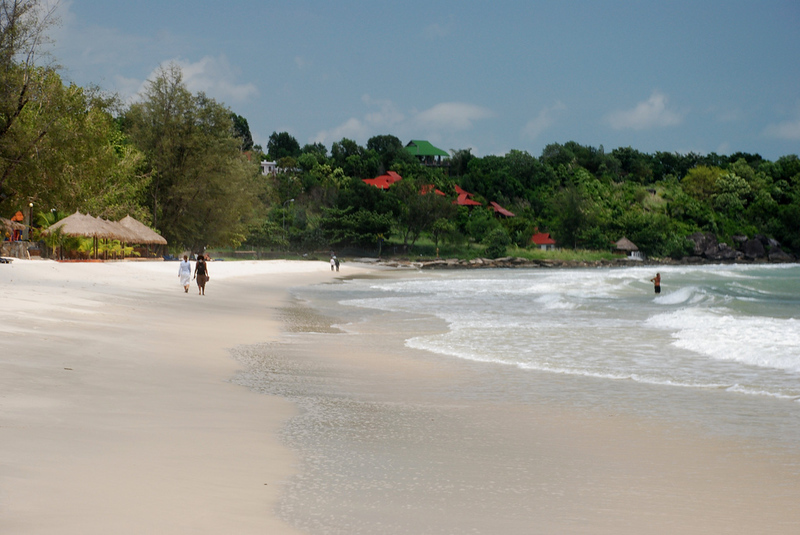 Cambodia’s most popular beach town, Sihanoukville offers a mix of sandy beaches, seaside restaurants and beach bars. Easily accessible by bus from Phnom Penh, Sihanoukville is a nice escape from the hustle and bustle of Cambodia’s capital. 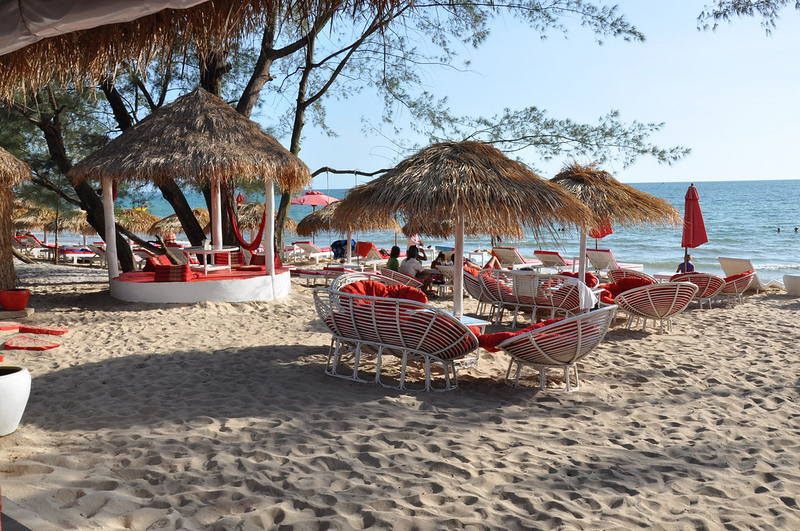 A selection of great restaurants and bars, luxurious hotels and relaxing beaches have made Sihanoukville Cambodia’s beach capital. 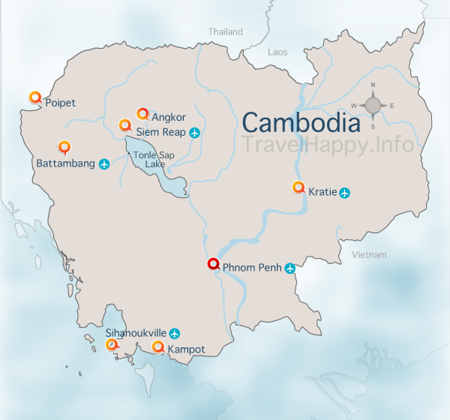 This small coastal city is home to Cambodia’s main commercial port and the majority of its beach resorts. Sihanoukville’s numerous beaches range from pristine and quiet to crowded and dirty, with beachside bars and hawkers easy to spot and difficult to avoid. Over the last decade, several high-end resorts have popped up along the coastline, some with their own private beaches. Largely covered in beach bars and seafood restaurants, Ochheuteal Beach is one of the most popular beaches in Sihanoukville. The area at the north of the beach is known as Serendipity Beach and is home to some of Sihanoukville’s cheapest beachside guesthouses. Named after the Independence Hotel — a glamorous 1960s hotel famous for hosting Jackie Kennedy prior to the Cambodian civil war — Independence Beach is quieter and less busy than Ochheuteal Beach to the southeast. Sihanoukville’s only private beach, Sokha Beach is calm, quiet and relaxing. Although most of the beach is owned by the nearby Sokha Beach Resort, visitors can access the beach with a purchase of a drink from the resort’s outdoor bar. Hawkers are banned from Sokha Beach, making it a better place for relaxing and enjoying the sun than Sihanoukville’s more popular beaches. Located north of Independence Beach, Victory Beach is a short distance from Sihanoukville’s commercial port. Despite the location, Victory Beach is reasonable quiet and relaxing, with an excellent view of the sunset. Located south of Ochheuteal Beach, Otres Beach is less developed, significantly quieter and far cleaner than its neighbour to the north. Nearby beach bars and restaurants make Otres a fun beach for relaxing during the afternoon and evening. Aside from the occasional market and convenience store, Sihanoukville City Centre has little of interest for tourists. Buses to Sihanoukville from elsewhere in Cambodia arrive at either the Central Market or the Victory Hill bus station. Sihanoukville is Cambodia’s main port city, and the large container port is easy to spot from Victory Beach and several parts of the city. Off limits to tourists, the city dock is occasionally used by visiting cruise ships. While Ochheuteal Beach is undoubtedly Sihanoukville’s most popular beach, it’s too busy for sunbathing and too dirty for swimming. Otres Beach offers a quieter beach experience that’s far cleaner, although still far from pristine. 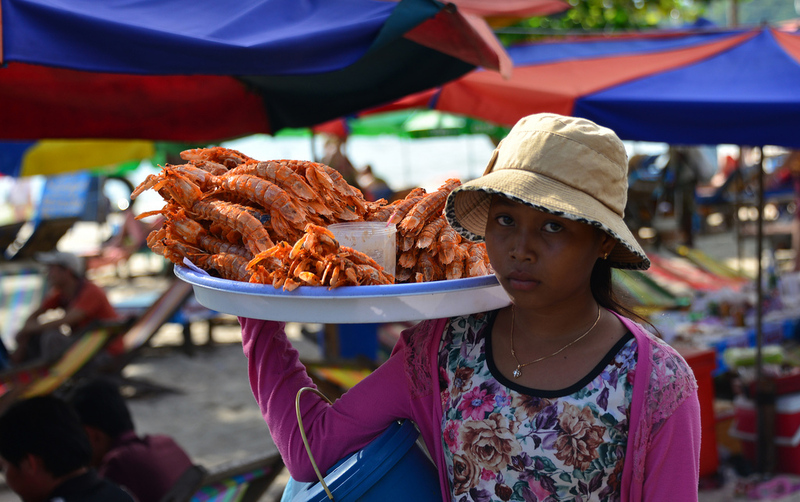 Note that although Otres Beach is one of Sihanoukville’s quieter beaches, you might still be bothered by hawkers from time to time. Smaller and quieter than Otres Beach, Independence Beach is another good option for beach life and relaxation. 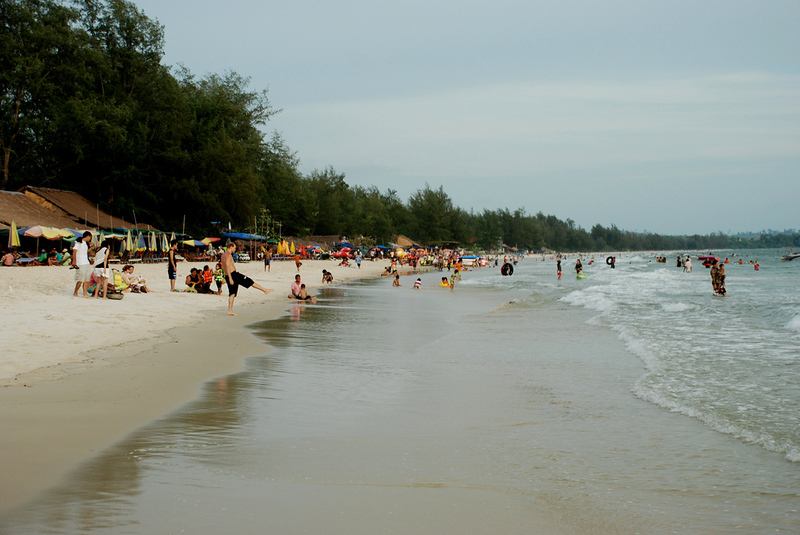 Independence Beach’s calm and relatively clean water makes it one of the best beaches in Sihanoukville for swimming. The waters surrounding Sihanoukville are home to an excellent selection of snorkelling and diving spots. Boat trips to nearby islands depart daily, with snorkelling and scuba diving both available. PADI dive courses are available from most of Sihanoukville’s dive shops. Popular dive sites include Koh Rong and Koh Tang, which at four hours from Sihanoukville, is a popular diving site for liveaboard trips. Established in 1993, Ream National Park is a natural reserve known for its biodiversity and natural beauty. The park contains a range of hiking trails, beaches, mangrove swamps and islands accessible as part of a guided tour. Only open on Saturdays during high season, Otres Market is a Goa-inspired weekend market featuring all sorts of local handicrafts and products, food and drinks. After dark, live music and dance acts start playing to the crowds. While Sihanoukville isn’t known for its temples and traditional culture, Wat Krom is a beautiful Khmer Buddhist temple overlooking the sea. Parts of the temple are dedicated to Ya-Mao — a special ancestor spirit that’s believed to protect the coastal regions of Cambodia. Located 25km from Sihanoukville, Koh Rong is Cambodia’s second largest island. White sand beaches, clear water and a great selection of bungalow resorts make Koh Rong a good place to spend a weekend — or an entire week — enjoying beach life and snorkelling. Sihanoukville’s leading upmarket resort, Sokha Beach Resort offers a selection of modern rooms and suites with expansive outdoor facilities. Sokha Beach Resort has access to the private Sokha Beach area, which offers a quiet and hawker-free beach experience. Located close to Otres Beach, Ren Resort is a modern four-star hotel with a selection of clean and spacious rooms. The resort’s location on the far end of Otres Beach makes it a far quieter option than hotels closer to Sihanoukville City Centre. Located less than five minutes from Ochheuteal Beach on foot, French Garden Resort offers double and twin bungalows as well as family-sized apartments. 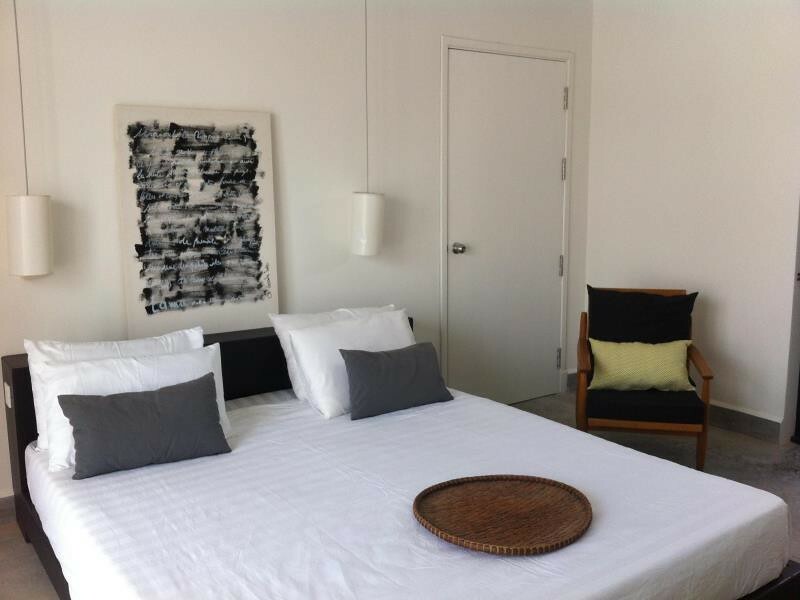 Clean, spacious rooms and a great outdoor swimming pool make this a convenient and comfortable place to stay. Tamu Hotel offers a beachfront location and sleek, modern rooms on Otres Beach. With an outdoor swimming pool and beachside dining, this four-star hotel is an excellent choice for travellers that want to be as close as possible to the beach. Spacious bungalows, an outdoor pool and a convenient location right on Otres Beach make Sahaa Beach Resort a great choice. This small boutique resort offers simple rooms close to the beach and a short walk from the popular beachside bars. 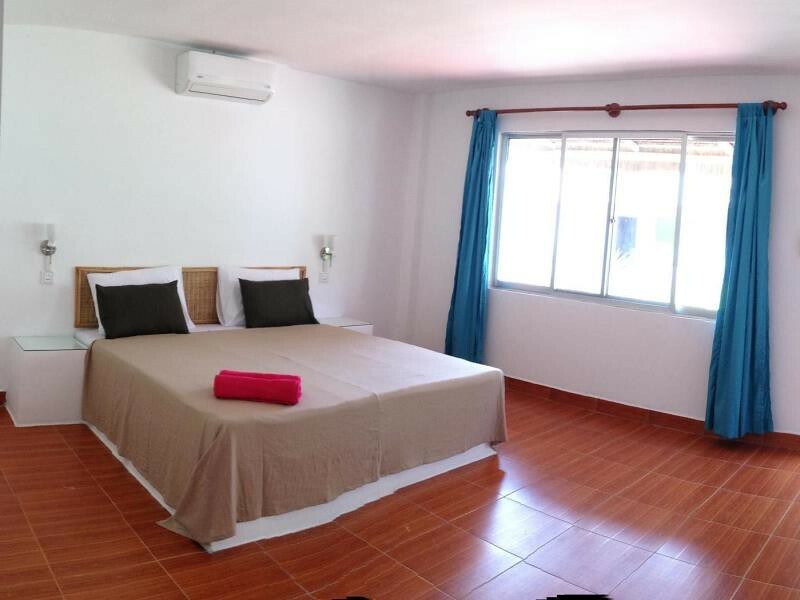 Located in Sihanoukville City Centre, Reaksmey Meanrith Guesthouse and Residence is quite far from the beach. If you don’t mind relying on tuk-tuks or renting your own transportation, it’s a quiet and affordable place to stay. 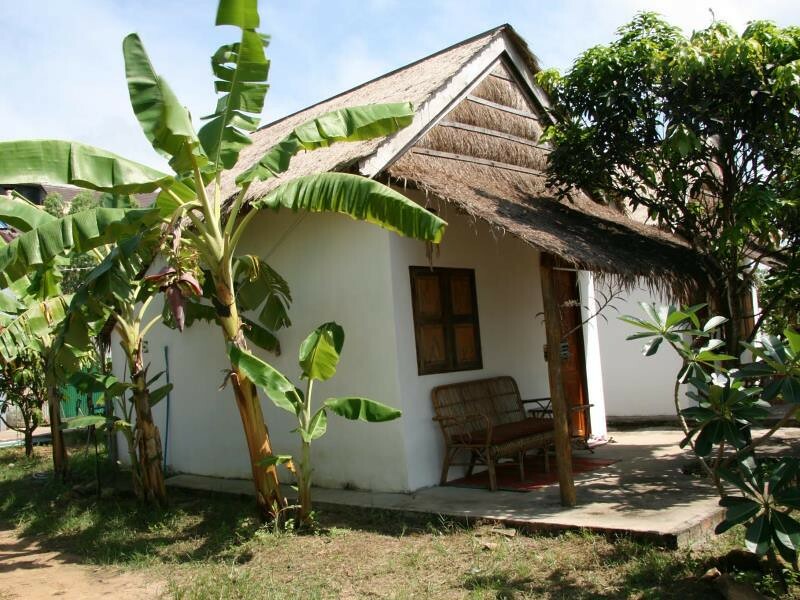 Located in Otres Village, Carpe Diem Bungalow is a short walk from the beach. The resort’s simple fan bungalows aren’t particularly luxurious, but they’re more than enough for a simple stay close to the beach. Wi-Fi is offered but speeds are unreliable. 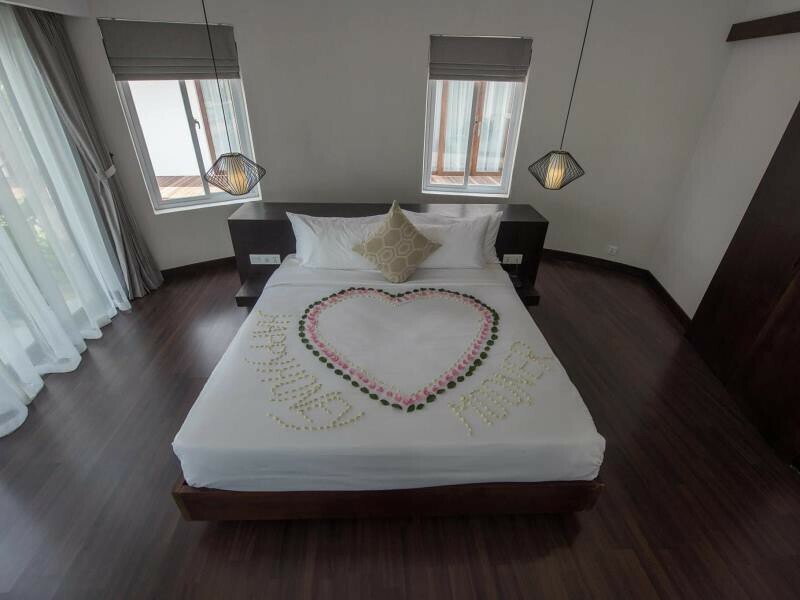 Located close to the busy Serendipity Beach, Reef Resort offers clean and simple rooms near some of Sihanoukville’s most popular beach bars. Note that many of the nearby bars will stay open until well after midnight, making the rooms close to the road quite noisy. Tasty and inexpensive Italian food with a great wine list makes L’osteria di Gino Garden one of Sihanoukville’s most popular Western restaurants. One of Sihanoukville’s most popular high-end bars, La Rhumerie is well known for its range of infused rums. Located close to Serendipity Beach. Located a short walk from the beachfront bars on Serendipity Beach, Olive&Olive serves tasty steaks, pizzas and Mediterranean dishes. Located opposite the Coolabah Hotel, Ernie’s Burgers serves classic American burgers and a selection of other comfort foods. Chenda’s International Food Centre serves a selection of Cambodian and Chinese dishes by Sofitel-trained chef Chenda. The restaurant also contains a blind massage centre. Otres Corner is one of several beachside bars and restaurants on Otres Beach, serving fresh fruit, tasty Cambodian food, burgers and more. SHIN Otres Beach is a bit of an anomaly among Sihanoukville’s other beach bars. As well as the typical cocktails and cold beers, it offers a fresh sushi menu prepared by a Japanese chef. Sihanoukville International Airport handles frequent flights from Phnom Penh and Siem Reap, as well as seasonal flights from Seoul and Singapore. There are currently no direct flight from Thailand to Sihanoukville. Check Skyscanner to compare airlines for the best prices and flight times to Sihanoukville. The easiest way to get into Sihanoukville is via bus from Phnom Penh. Buses leave Central Market in Phnom Penh several times daily. Budget buses and more luxurious minivans are available — both make the trip in four to five hours. Although overnight buses are available from Siem Reap to Sihanoukville, the company that operates the route has an appalling safety record and isn’t recommended. Overnight buses via Phnom Penh make the journey to Sihanoukville in around 14 hours. Buses are also available from Trat in Thailand via the border at Hat Lek. 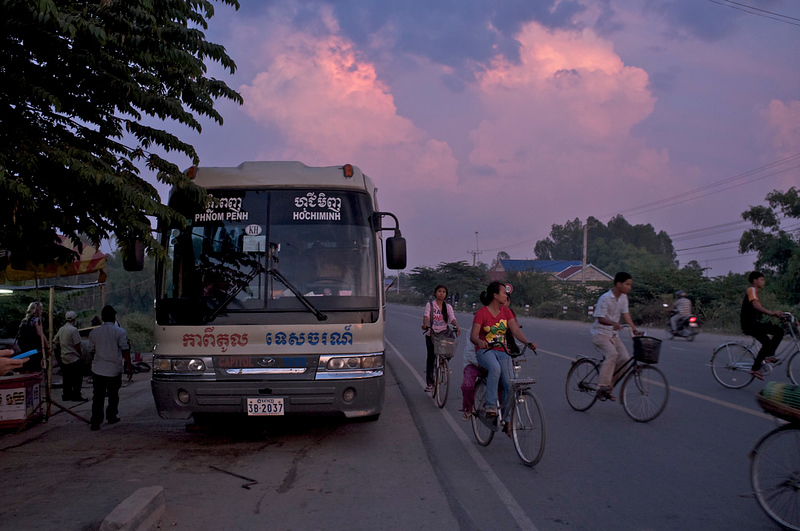 The trip takes five to six hours and often involves a change of bus at the border.